Rare offering! 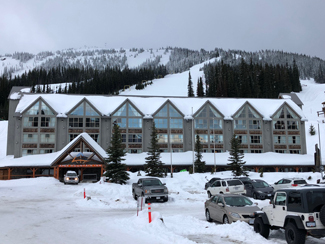 Updated ground floor lock-off unit at Apex Mountain Inn (#105 & #106) Sleeps 6, but can be used as two separate units and each unit offers direct access to outside! #106 consists of a full kitchen, living area with murphy bed, fireplace and 4-piece bathroom. #105 has two queen beds, a 4-piece bathroom, bar fridge and microwave. True ski-in, ski-out location right in the heart of the village. Common hot tubs and ski storage. This is an ideal spot for weekends with your family or purchase as a revenue generating investment. Use one or both units, or place them in the hotel's well run rental pool.